Chief Science Officer, CDG Therapeutics Inc. Registration Type =  Paid amount = $[1071 show="value"]   Thanks for registering! 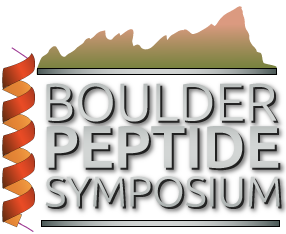 The 2018 Boulder Peptide Symposium once again brings together thought leaders in biotech, pharma, and academic institutions to present current paradigms in peptide therapeutics and to uncover solutions to challenges in peptide drug discovery and development. The symposium program includes a one day retreat for intensive one-to one meetings, workshops and networking.